Touraine has long been on of our personal favourite areas for crisp minerally whites. An AOC since Christmas eve 1939, this area is known for Sauvignon Blanc and Chenin Blanc in whites and Cabernet Franc, Cot (Malbec), Pinot Noir and Gamay in the reds. We personally find the reds a bit green with off vegetal notes, not really pleasant to be honest ( Exceptions being Chinon and Bourgueil which produce some lovely elegant medium bodied reds based on Cabernet Franc). Great Chenin blanc comes from Vouvray and delightful Rosés from Anjou but it’s a good Touraine Sauvignon Blanc that does it for us! As good if not better than a cheaper end Sancerre, in our opinion. Touraine is one of the Larger AOCs in the Loire with many of the aforementioned sub-regions falling with in its boundary, so searching out those gems can be though but we think the Sinson Touraine Sauvignon is one of those wines. It may not have the fruit flavours of Marlborough Sauvignon but it has a delightful edgy mineral streak that is crisp and refreshing with nice notes of citrus and white flowers on the nose. The palate is wonderfully thirst quenching with a delightful dry finish. 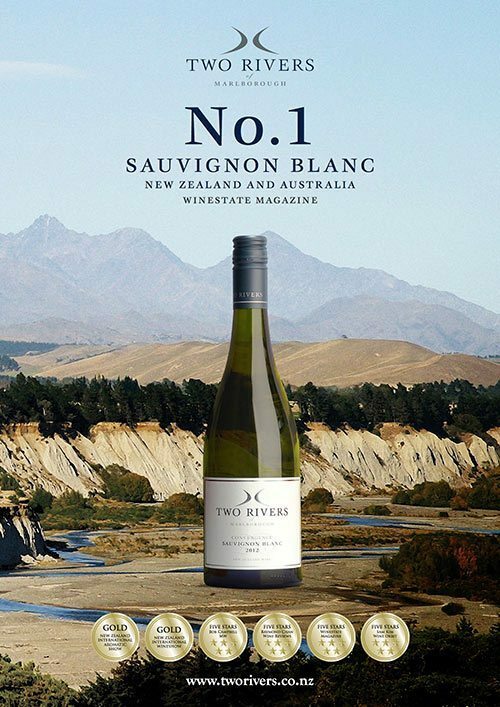 A superb example of Marlborough Sauvignon combining the best characteristics of the Awatere and Wairau valleys- small wonder that each year it keeps on picking up countless awards. Attractive, fresh and bright aromas of green herb, gooseberry, cut grass and a touch of passionfruit. Very clean on the palate but not hard, with green apple, green pineapple and lychee being the dominant flavour characteristics. For such a young wine it is showing very well and with a little more age the finish will round out a little and the exotic fruit notes will become more apparent. Chuck it at all manner of seafood and exotic, spicy cuisines- it will cope. Two Rivers founder and winemaker, Dave Clouston, also makes our ever popular Black Cottage Wines.